BT has signed a £31.75 million contract with Dorset County Council to provide high speed fibre optic broadband to 97% of the premises in the county over the next three and a half years. 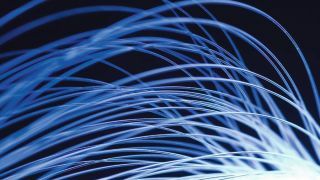 The deal has raised a cheer from the Government as it means two-thirds of the projects to take fibre broadband to 90% of the UK are now under way. BT has signed deals with 28 other local authorities and devolved administrations, including one earlier this week with the Scottish Government, and expects to settle the remaining 15 soon. Communications Minister Ed Vaizey said: "We are witnessing a historic transformation in the nation's broadband, and we are already well ahead of other major European countries in many respects." Surveying work on the Dorset project is scheduled to start in the autumn and the first locations to receive the upgrades should be announced later this year. The county's average downstream speeds have been estimated by Ofcom at 8.7Mbps, while the new network could deliver up to 80Mbps, depending on location.